Combine cream cheese and vanilla extract in a mixing bowl until well blended. 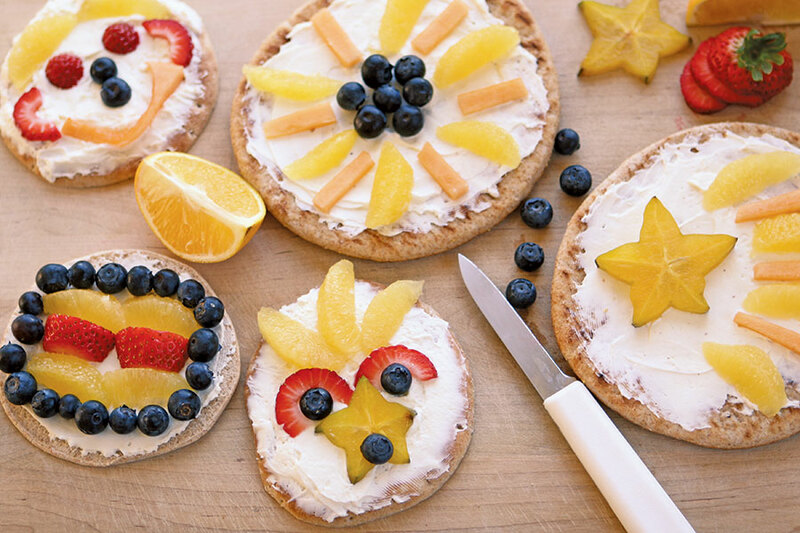 Spread over pita. 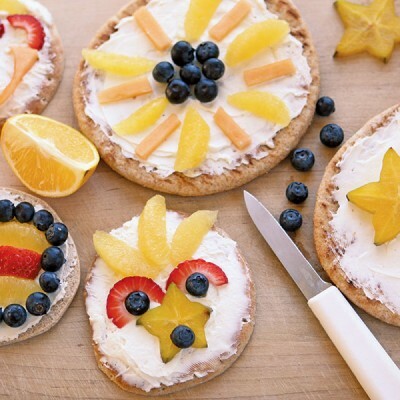 Decorate with fruit by creating fun faces and patterns. Note: Blueberries ripen in June in NC! For more yummy ways to use fresh blueberries, visit northcarolinablueberries.com. You can also consider growing your own.